Our EMBAGS aluminium Tower Case is an established companion for our customers in field service and for trade fair visitors. Single elements can be removed or extended. But now it’s time for a fresh look. The aluminium corner profiles have been replaced by round profiles which we use for our TOPSTAR aluminium cases also. 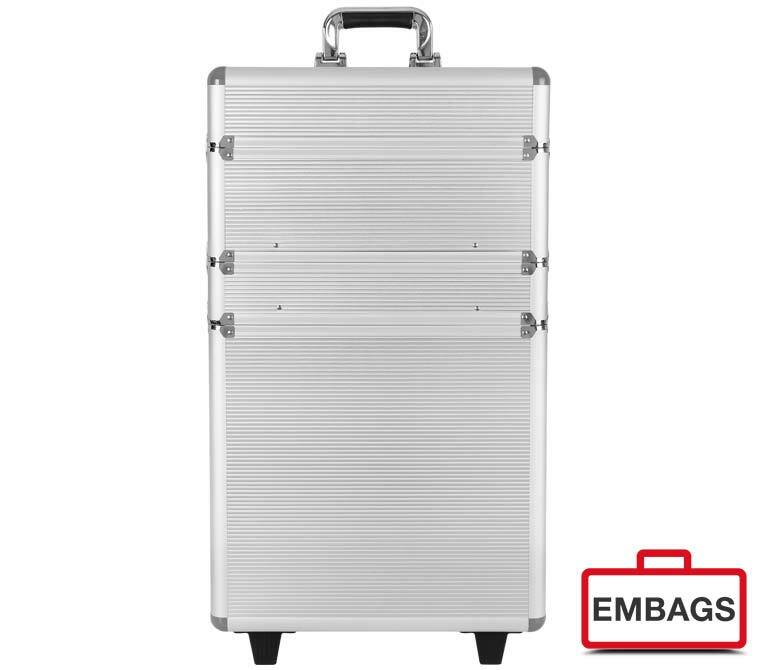 The new Tower Case receives a modern harmonious appearance. But there is not only a visual effect of the new design. Thanks to the round profiles the transport gets more comfortable. The Modular Case Set Item no. 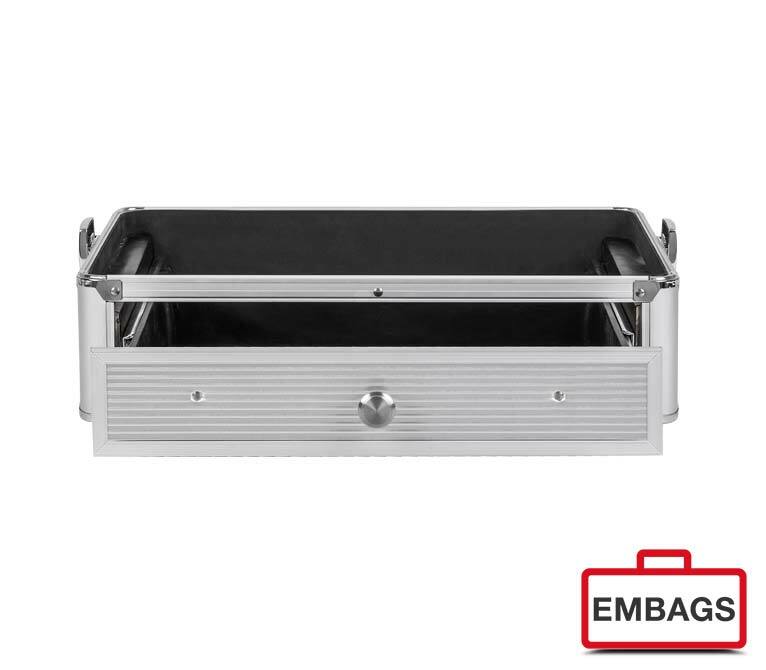 6060 in silver still includes the bottom part with trolley, the small level with 90 mm height, the large level with mit 130 mm height and a lid. The set can be extended by the Inserts for the bottom part (3 PCS) Item no. 6043, the Drawer Part Item no. 6068 and the Professional Lid Item No. 6064. The drawer part has been improved also. Besides the new design with round profiles the drawer part got a bigger knob. This helps to open the drawer easier. For the ones who preferred the old style with corner profiles it’s still possible to order the black Tower Case with the usual design. But you’d better be quick. The black Tower Case will get a new design in the near future. 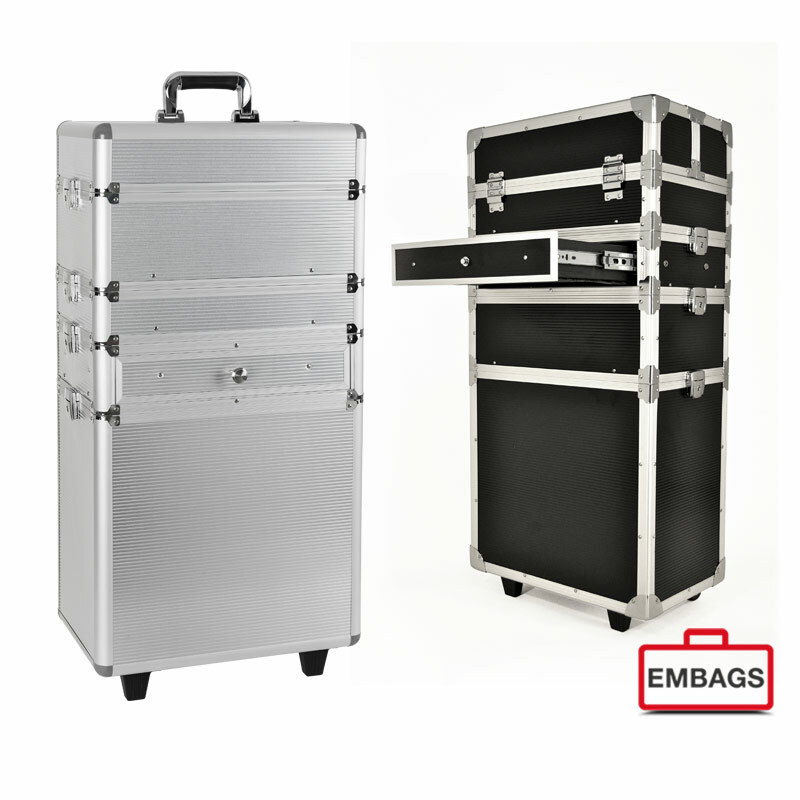 For a MOQ of only 50 PCS we can offer you custom-made cases upon your requirements regarding size, colour and interior. Please contact us, we’ll be pleased to help you. 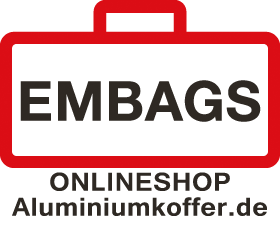 EMBAGS NEWS about our tradeshows, product inovations and company news.